This is despite the fact that the existing, 41,000 gigawatt-hour target could still be met by new wind farms before 2020, with no reduction needed. There have been threats from the industry that they will not be able to meet the target, and now that they will boycott it to wreck it – a capital strike, as RenewEconomy editor Giles Parkinson put it when Origin Energy threatened to opt out of the target and instead pay the fines for not meeting it. Perhaps these big energy companies feel they’ve been swindled. When the RET was initiated under the first Rudd government, it was expected that the growth in renewable energy would simply fill a part of the overall growth in energy demand. Since 2009-10, not long after the current RET was brought in, actual energy demand has unexpectedly fallen, every year. Big energy generators are finding that instead of adding a renewable portfolio to their productive, growing investments, the RET is seeing renewables take a growing slice of a shrinking pie. Whatever deal is cut in parliament, there have now been several years of growing uncertainty over the RET, since Martin Ferguson was Energy Minister. 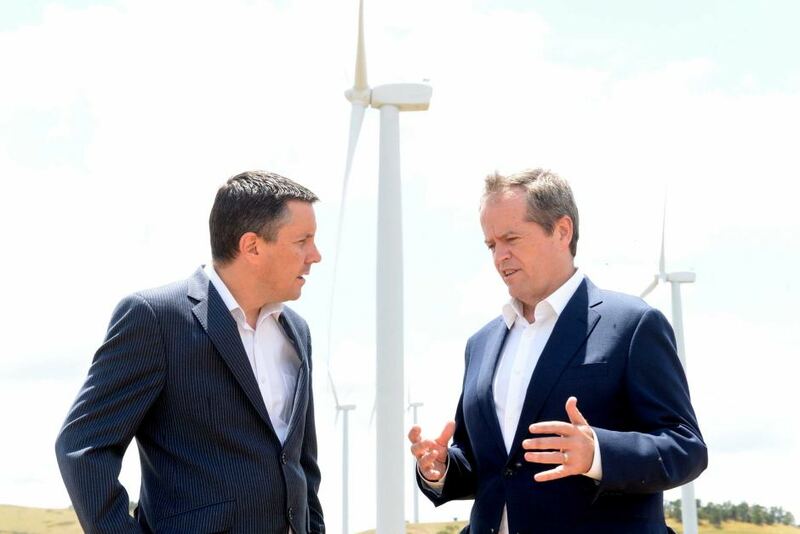 There have been reviews followed by inquiries followed by an explicitly hostile federal government, and the uncertain investment environment has certainly prevented some new wind and solar capacity being built. The only beneficiary of this has been the incumbent fossil fuel generators. The big energy companies (Origin, Energy Australia, AGL, Alinta and others) have increasingly lobbied against the Renewable Energy Target. The latest threat of “capital strike” by Origin is a new escalation, but it follows the pattern. Under the Labor federal government, companies were already threatening that they may not be able to meet the 2020 target, and it ought to be reduced. We have seen many fabricated stories about renewable energy schemes costing the bill-paying public circulated in the press. But the evidence is, in fact, that the only players who lose from building renewable energy are those with investments in big fossil-fuel power stations. The Yes2Renewables campaign of Friends of the Earth Melbourne has for years now understood that what analysts call the “merit order effect” means that renewable energy reduces wholesale power prices in our electricity market system. Big energy companies made up to a quarter of their annual profit in a few days’ peak prices during the 2009 heatwave that led up to Black Saturday. A few years later, in a comparable heatwave in 2013, peak prices were significantly lower, as millions of solar panels that had been installed in the interim kept the money in the community instead of the big energy companies’ pockets. Big energy hates renewable energy, because renewables are reducing the easy superprofits that the operators of huge, centralised coal power stations had become accustomed to. The behaviour of the big energy companies over recent years is a blatant corporate standover operation – albeit with willing collaboration from the current government. If a deal is stitched together, and investment resumes toward a new, lower RET target, some in the industry will be quite understandably relieved. The pressure on their jobs and businesses may ease. Finance may become available to build the projects they have been sitting on for the last five years. 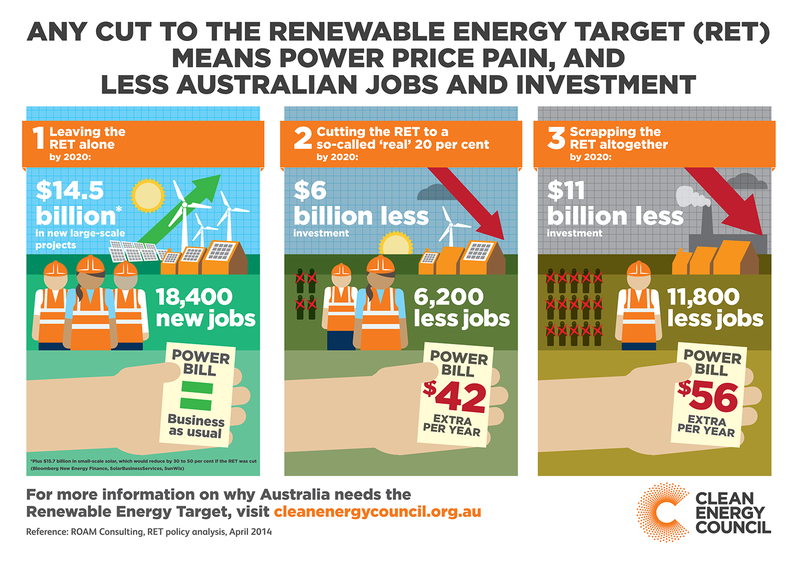 A deal for a reduced RET should not be seen as any kind of victory for renewable energy. It just illustrates the depths to which the fossil fuel industry will sink to maintain their stranglehold on our electricity supply – and keep their profits flowing. The existing renewable industry may live to build another windfarm – but we are also that little bit further from an industry that will build 100% renewable energy supply.